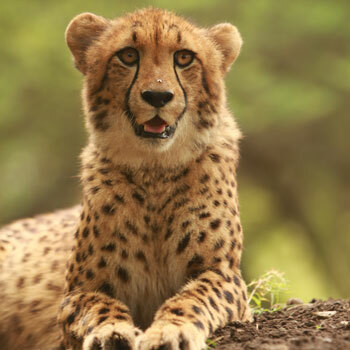 The cheetah is the world’s fastest land animal. 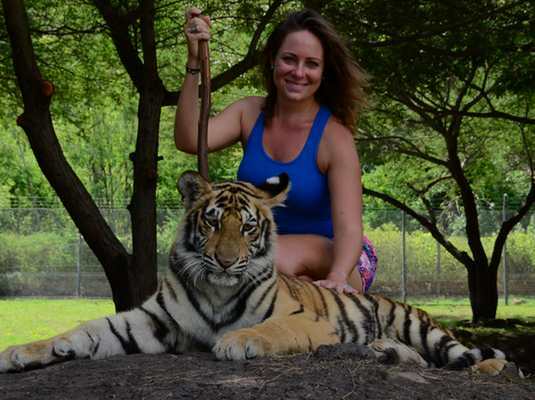 They can run 70 mph (or 110 kph), which is as fast as cars drive on the highway. 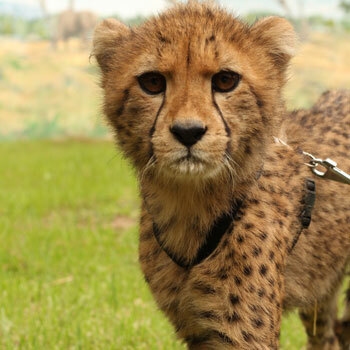 The cheetah can reach its top speed in just 3 seconds! In order to keep themselves balanced while running at these top speeds the cheetah has a long, muscular tail that has a flat shape. The tail almost functions like a rudder on a boat because they use it to help control their steering. 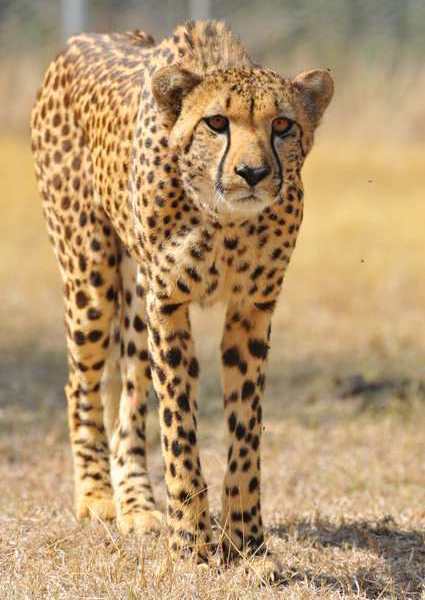 A cheetah has semi non-retractable claws (almost like dog claws) that work like the studs on a football shoe to give the cheetah a lot of traction when running. The pads of most cats’ paws are soft, but the cheetah’s pads are hard. This also helps them grip the ground when they are running so fast. You may notice during your interaction activity that our cheetah Rafiki and Mara have dark "tear marks” that run from the inside corners of their eyes down to the outside edges of their mouth. These marks help reflect the glare of the sun when they are hunting during the day. 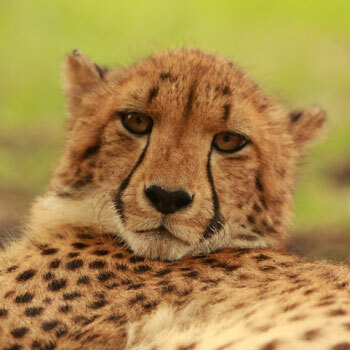 The cheetah doesn’t only have spots on their fur but also have spots on their skin! 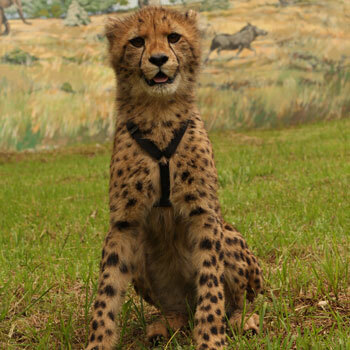 When cheetah are running full speed, their stride is 6-7 meters (21 feet). Their feet only touch the ground twice during each stride. The cheetah is the most endangered cat - there are less than 10,000 cheetah left in the wild, making the cheetah Africa’s most endangered big cat. 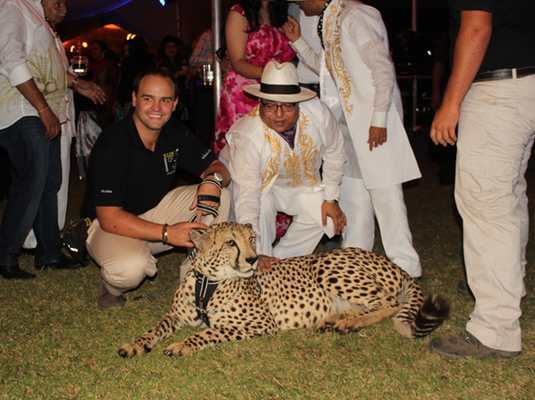 There is 3 types of cheetah found in the world, the Asiatic cheetah, the king cheetah and the savannah cheetah. Wow your wedding or celebration guests.